While the basic tenets of financial planning remain the same for everybody, the way in which one earns his money directly affects the way in which he needs to plan for his financial future. Salaried people, especially the Government employees, have certain special characteristics with regard to Financial Planning due to the nature of their job. On the positive side are that the income flow is fairly certain and regular; there are likely to be many employer-provided benefits like medical, transportation, vacations and insurance; predictable salary increments; likelihood of a good retirement package to include Provident Fund, Superannuation corpus and Gratuity which can result in a decent life-long Pension Plans; and comparative stability of the job. On the limitations side, large payouts other than yearly bonus and performance-linked commissions would be a rarity and there is less likelihood of large improvements in standard of living. These characteristics create special needs for the salaried people compared to the business class and self-employed professionals. First is the protection to their families in case they meet with a calamity. Unlike the business class who are likely to have an earning inheritance to pass on to their dependents, salaried may not have such a luxury. Hence, the need to correctly assess the quantum and duration of Insurance Planning cover. They should preferably take a Term Plan early in their career. Second is medical insurance. In case of job change, the medical facilities being provided by an employer may not be available in the next employment. Hence the need for an independent medical insurance at individual or family level to avoid unpleasant surprises, especially at higher ages of 40+ when medical problems generally start. Next is to cater adequately for own Retirement Planning India. Generally, there is a smug feeling amongst such employees, due to the employer-provided retirement corpus that they are likely to get, that they would be able to generate enough regular money to cater for their requirement in the entire post-retirement period. They forget the eroding effects of inflation and the long retirement period which may stretch up to even 30 years. Government employees tend to be even more complacent as they are likely to get pension too (for those who joined service before 2004). Lastly, due to the regular salary, catering for emergency (or contingency) fund takes a backseat. This should not be lost sight of since any such emergency can wipe out a large part of planned savings, affecting other goals of life, and may even result in loans at high interest rates. Catering for about four months of living expenses for emergencies can be taken as a general thumb rule. Selection of investment instruments by the salaried needs to cater for above peculiarities to have a comfortable living during the working as also retired phases of life. It is generally seen that, compared to business class and self-employed professionals, salaried persons tend to swing to the extremes as far as risk taking is concerned. 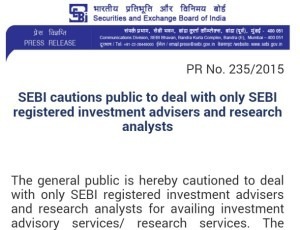 They are either very conservative and stick to predominantly debt instruments like PF, bank fixed deposits and endowment-type insurance policies, or get headlong into very risky prepositions like direct equity including daily trading, forex and F&O instruments without adequate preparation and knowledge. A balanced mix of instruments, taking into account own risk aptitude, type of Financial Goals and their priority, availability of money and the time available to accumulate money for each goal are the guiding criterion which should decide selection of financial instruments. Financial Planners are not Magicians! Too young for Financial Planning?